What’s the first word that comes to mind when you hear the term dog training? Chances are it’s not the word easy. Dog training can be a challenge, and it’s something all of us have struggled with at one time or another. But there are ways to make it easier. Here’s some of my favorite training tips to help you out. From being consistent with rules to knowing your dog’s limits, here’s 10 tips that make dog training easier. When it comes to making dog training easier one of the most important things to remember is to be consistent with rules. Set up some clear boundaries for your dog and make sure everyone in the home follows those rules. If everyone is consistent it won’t take long for your dog to understand what behaviors are acceptable. If your dog isn’t allowed on the couch make sure everyone follows that rule. Don’t punish your dog for a behavior they’ve gotten away with in the past, and don’t punish your dog for a behavior that your husband lets them get away with. It’s not fair to your dog to punish them for something they’re sometimes rewarded for. If you don’t want your dog to beg at the dinner table make sure everyone in the home is in agreement. Don’t punish your dog for begging if dad keeps sneaking him all those table scraps (it’s always dad, isn’t it?) every night. Your dog isn’t begging because he’s naughty, he’s begging because he’s being rewarded for it. Being rewarded one day and punished the next for the same behavior sends mixed signals to your dog, leading to confusion and frustration. When coming up with house rules for your dog get everyone involved, and make sure everyone is one the same page. Make consistent rules so that everyone knows what your dog is allowed to do, and what they’re not. If exceptions are made your dog is going to take longer to train, and they’re going to be dealing with a lot of unnecessary confusion. We all want a well behaved dog, right? Well one of the easiest ways to improve your dog’s manners is to remember to encourage good behaviors. It’s such an easy thing to do, yet it’s one so many of us forget about. When it comes to dog training we have a tendency to focus on negative behaviors, often forgetting to encourage the good ones. Our dogs are constantly observing and learning from us us, so letting them know that they’re doing something good encourages them to repeat that behavior later on. Don’t assume that your silence lets your dog know that he’s doing a good thing. Let him know. 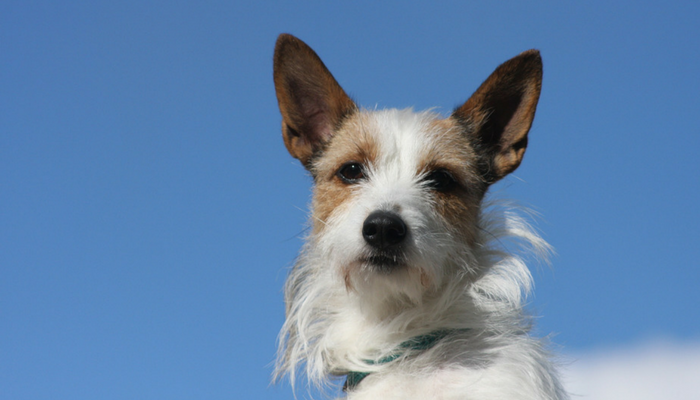 Let your dog know when they do something good, even if it seems mundane or minor. Those positive associations with your dog will help then learn what’s acceptable, and what’s expected of them at any given time. Clearly letting your dog know when they’ve done something good gives you the opportunity to encourage those behaviors later on. If your dog calmly sits by your side as you eat dinner and you approve of that behavior let him know by telling him he’s a good boy. If your dog lays his head on your lap when you’re on the couch and you approve let him know. 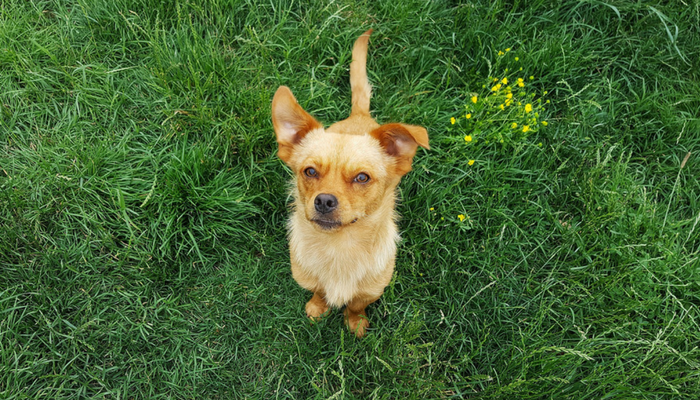 You can encourage your dog to repeat those desired behaviors by making sure they know you appreciate them. Don’t assume that your silence let’s your dog know that he’s being a good boy. When your dog does something good let him know. Rewarding good behaviors will encourage your dog to repeat them later on. It’s never too early to start training your pup, but all dogs have limits. 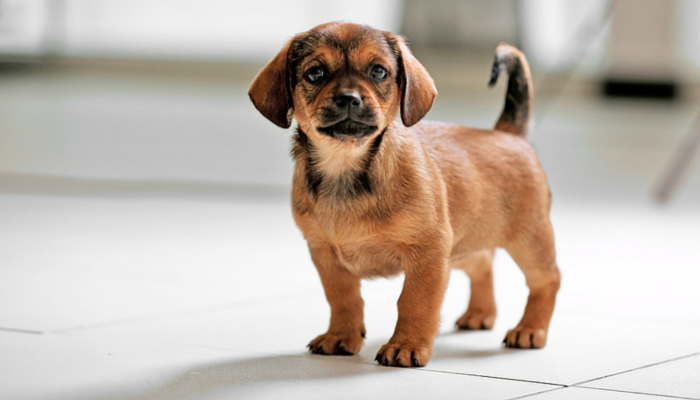 Your brand new puppy won’t have the same attention span that your 7 year old dog does. Part of that has to do with the fact that puppies are easily distracted, and the fact that building up a relationship where you’re able to hold your dog’s attention for long periods of time doesn’t happen overnight. Once you start training with your pup you’ll start to get a feel for what sort of training situations work best for them, and which ones present a challenge. If your dog is young they may have problems focusing for more than a few minutes at a time, and that’s completely normal. If that’s the case try making your training sessions 5 minutes or less to make the most out of the time you’ve got. By keeping your training sessions short and fun your dog will start to see training time as something enjoyable. And they’ll see you as the awesome person who teaches them things and lets them know when they’re a very good boy. That commitment from you combined with clear communication will help increase your dog’s focus over time. Pay attention to your dog when you’re working with them. After a few sessions you’ll get a good idea of what methods work will for them. Are they too distracted if they haven’t had exercise? Do they get frustrated after 10 minutes of trying to learn a new trick? Try 5 minutes instead. Do they prefer treats as a reward versus toys? Modify your training sessions to work in their favor. When it comes to training always keep your environment in mind. There’s way more distractions outside than in your living room, and when you’re in a distracting environment you’ll find yourself competing for your dog’s attention. When you train your dog in an environment they find exciting you’re not just asking your dog to do a simple trick, you’re asking them to ignore all those super exciting things going on around them. Once you’ve taught your dog a new trick or behavior in an environment that’s not very distracting (such as your living room) you can then try it in a more distracting area. But don’t expect your dog to perform that new trick perfectly in a new and/or exciting environment the first time around. It’ll take a little bit of practice to hold your dog’s attention in that new environment. Treat it as if you’re teaching your dog the trick for the very first time. 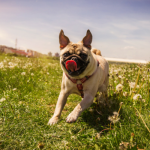 Use rewards that your dog goes crazy for, and remember to keep it fun. The environment is especially important to remember when working on teaching your dog a reliable recall. Your dog’s recall may be perfect indoors, but don’t expect it to be fool proof when you’re outside. All those outdoor sights and smells (and squirrels) are really exciting for your dog, and it’s going to be a challenge to hold their interest. It takes time to build up your dog’s focus, and every time you move into a new training environment expect some challenges. That doesn’t mean it’s impossible to teach your dog to listen to you when you’re outside — it just means that it takes patience to get to that point. You can make it easier on yourself by keeping your training sessions fun, and by taking it slow when working with your dog in a different environment. Expect distractions when training your dog outdoors or in a new environment. Use high value rewards and keep it fun to help keep their focus. Remember that you’re not just asking them to do a simple trick — you’re asking them to do a simple trick while ignoring all sorts of exciting things going on around them. 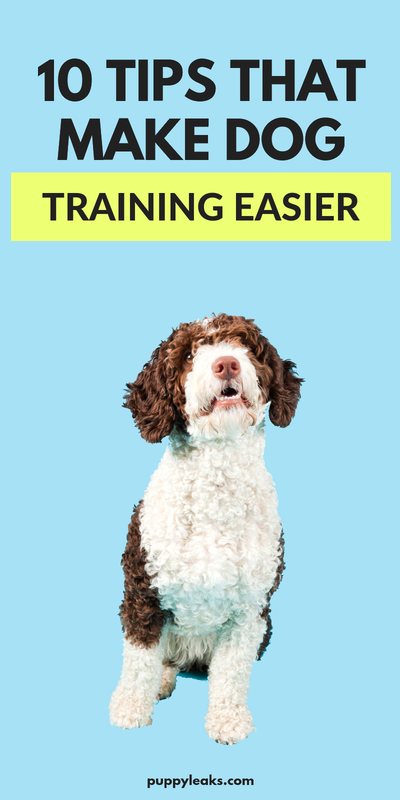 One way to make dog training easier is figuring out how to keep your dog motivated, and to do that you’ll need to test out different rewards. When it comes to training it’s important to keep your dog focused on you, and the best way to do that is keep them motivated by offering rewards. I got lucky because Laika will work for treats or toys, but not all dogs are highly motivated by both. 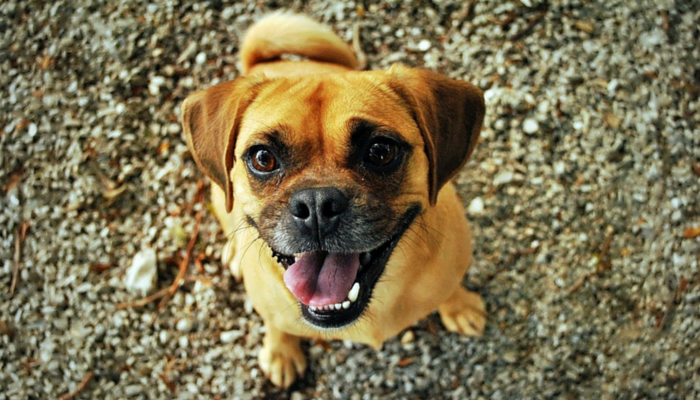 Is your dog willing to work for treats, toys and praise? Use those as rewards in training to keep your dogs interest, and pay attention to which ones get your dog excited. And remember to use a variety of toys and treats to figure out which ones really get your dog going. Use those extra exciting rewards for when you’re going to be teaching your dog something new or particularly challenging. My dog will work for food, but it’s not nearly as exciting to her as a game of tug. So when we’re going to work on a complex trick or behavior I get out that tug toy and she’s instantly focused. Finding out which rewards work best for your dog, and which ones they really love gives you the ability to keep your dog’s attention in challenging situations. If you want to avoid frustration when training keep your training sessions on the short side. 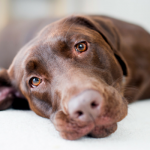 Dog’s don’t have an unlimited attention span, and working for too long on a certain trick or behavior can lead to frustration for both you and your dog. Does your dog get distracted after 10 minutes of trying to learn a new trick? Try shortening it to 5 minutes. Work on one behavior or trick at a time, and take a break in between sessions. If you spend too much time working on a new behavior your dog’s going to get bored, distracted and/or frustrated. Most young dogs have a lot of extra energy to burn, so if your dog is having problems focusing try increasing their physical & mental exercise throughout the day. Laika has a ton of energy, so I don’t even start a training session until she’s had a chance to burn off some of that crazy energy of hers. Puppies are known for a lot of things, but an unlimited attention span isn’t one of them. Make your training sessions positive for your pup by keeping them short and fun. Us humans have a pretty big vocabulary, but when it comes to dog training try to keep it simple by using the same word(s) consistently. Just like when you taught your dog to “sit” remember to use the same word and/or gesture every single time. If you want to make training your dog easier remember to be consistent with the words you choose, no matter what you’re working on. It’s much easier for your dog to learn how to “heel” than it is to “whoa,” “wait,” “stop,” and “hold.” You know why I mention those? Because I’m guilty of using all of them when trying to get Laika to stop pulling. When we’re out walking our dog it’s easy to get into walk mode, forgetting that an opportunity for training. If you’re trying to teach your dog not to pull on the leash remember to keep your training hat on and be consistent with the words you choose. It sounds simple, but telling humans to use fewer words is so much easier said than done. When it comes to training not all days are going to go perfectly. Just like anything else that we do on a regular basis some days are just going to feel off. We’d all love it if every day was a good hair day, but that’s just now how it works. Some days are just going to be off. Training is progressive, but that doesn’t mean that you’ll make the same amount of progress every single day. Some days your patience may be thin, and some days your dog might not be having any of it. It happens, we all have off days from time to time. Don’t force yourself to train if you’re having a bad time — chances are your dog isn’t having fun either. You don’t want your dog to start thinking negatively of your training sessions. If you’re getting frustrated with training take a break and do something fun with your dog. Play a game of tug or take them to the park. Give yourself a break and start again tomorrow. When it comes to dog training you’re going to have days where you’re just not feeling it. Give yourself permission to take a break and have some fun with your dog. Have you been struggling trying to teach your dog something new? Take a step back and try to figure out exactly why it isn’t working. Is is because your dog too distracted? Are they not motivated enough? Are you not communicating clearly to your dog? One of the best ways to make dog training easier is to learn from your previous mistakes. Some of my biggest training breakthroughs have come through analyzing my own mistakes. When training my dog to “come here” I used to just call Laika’s name and wait. She knew what it meant, so surely she’d start running back any moment, right? Turns out that wasn’t enough; she’d keep sniffing grass, chasing squirrels and patrolling the yard as I stood there waiting with my arms folded. Then I realized what my “come here” really meant — it meant that her super fun outside play time was over. Then I finally understood that I had to up my game. I had to make myself more exciting than all those pesky squirrels and other fun creatures that inhabit our yard. And how did I do that? I rewarded her handsomely every time she came back to me with a game of tug. I had to match the reward to the behavior I was asking for. That’s a common issue when it comes to teaching recall to our dogs. We’re not nearly as exciting as whatever they’re doing right now, and yelling at them when they do come back discourages them from wanting to come back the next time. So if you’re struggling with training your dog sit back and try to figure out why. Are you asking your dog to do something they don’t quite understand? Are the rewards your offering worth what you’re asking them to do? Figuring out why your method isn’t working will help you come up with one that does. When it comes to training remember that all dogs are individuals. 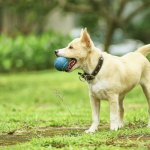 If you’ve had more than one dog it’s easy to assume that the same exact methods that worked for dog A will work for dog B — but it doesn’t always work that way. It’s easy to assume that what works one for one dog will work for another. I know that isn’t true, and yet I still find myself comparing my current dog to previous ones. My previous dog Carter would do anything for food, so when I got Laika I assumed she’d be just as food motivated. Turns out she’s not quite as in love with food as he was, and asking her to “roll over” for a single treat doesn’t cut it. Same thing goes for potty training our dogs and teaching them manners. Some may be house trained in a week, while others take longer. 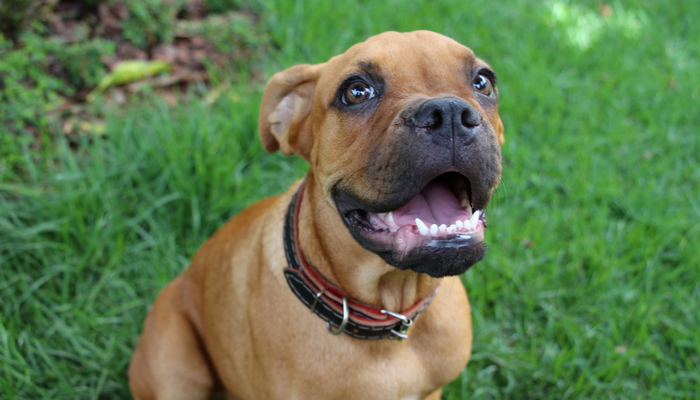 Some dogs may learn bite inhibition rather quickly, while others may take weeks or months. Don’t get frustrated because your new dog isn’t progressing at the same rate as your previous one. All dogs are different, and some will learn certain behaviors sooner than others. And sometimes you may have to adjust your training methods to suit your new dog — not all methods work perfectly for every dog. What Are Your Favorite Dog Training Tips? Do you have any favorite tips that have made dog training easier for you? Are you consistent with rules? Do you keep your training sessions short? What is your dog’s favorite training reward? All great tips. But it raises the same question: how do you get everyone else to help you be consistent with the rules? And how about using the same cues? I swear my husband is my worst enemy in training. The only tip I’d add is be prepared to train every time an opportunity comes up. Dogs are always learning and we should always be teaching. Consistency is my favorite “trick” and it’s also the one I see most people not do. It’s why I always use the same word for what I want my dogs to do – for instance, “cage” is the command to go in the cage. Every time they I want them to go in the cage, I say cage. I agree with you that dogs have limits, and they don’t have the same attention span as an adult dog or a human does. Like a child, attracting their attention and keeping them focused on one thing does not happen overnight. That’s actually a helpful tip especially since I plan to train my pet pup to behave when a visitor drops by. He just loves the attention too much that he jumps on anyone’s lap immediately. Thanks for the tips. I think be hiring a trainer or reading a guidebook. I liked that you had mentioned that when it comes to training your dog that it can be important to encourage the good behaviors to make sure they understand it’s good. My wife and I have been wanting to train our puppy but we haven’t known where to start. We’ll have to start encouraging the good behaviors that he makes, but we might need to look into hiring a company that can handle the full training for us. How do you stop your dog from pulling you down the block so hard to walk her she is almost 2years old? Switching to a harness that latches on the front made the biggest difference for me. 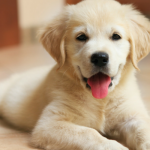 These are some great tips for puppy training. A couple of tips that I did not consider is knowing your dog’s limits. All dogs are have different personalities and this makes them unique. When considering puppy training phoenix az, it is best to motivate them and encourage good behaviors.